Happy #Backontrack Sunday! How are you all doing today? Are you ready for the week? This is my #backontrack post for today!! I got these to go boxes from Amazon that help with portions and separating food. I made rotisserie chicken, sweet potatoes and green beans with cauliflower. I made 3 for dinners this week. When I'm at the office, my husband takes my son out, or they eat together. My husband is a vegetarian and we eat VERY differently. I must have #protein as #priority, while my husband and son can eat bread, pasta, couscous, and carbs for days and be totally thin. The nerve of them, right? Since I know what my #sleeve and #bariatric body needs, I plan for it. This helps me stay the course, and remain successful in my journey and I wanted to share it with you. This is planning at its best. This helps me avoid fast food, avoid poor choices and I'm getting my protein, veggies and good carbs. Planing and priotizing is essential for for your long term success. When we leave choices for our "tired" brains at the end of the day, we may experience regret later because we were caught In a weak moment. Set yourself up for success by planning in advance!! 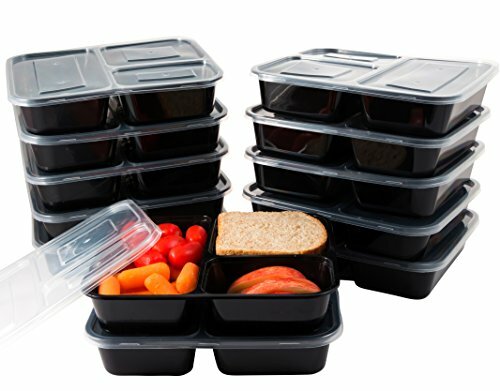 These are kind of like bento boxes, but reusable, microwavable, BPA free and you can freeze and store food. They are amazing! !